As part of my weekend quickie series, I thought you guys might like to see some recipes! Let me know what you think! stumbled across this, it's delicious! Try this if you have left over cheesy sauce stuff; about a half a cup of that with another handful of spinach and two or three eggs all scrambled up in the morning top it with a little of the tomato sauce…so good! made this, but as a lasagna instead. it was really good! great recipe! i'll be making these next week. they look really good and delicious! yummy! I can't wait to make some! how long do they cook? Don't you use any herbs or spices? And as many people stated before: This is NOT healthy cooking. I eat this kind of food all the time but if you say this is healthy you are probably comparing to fast food like mcd or kfc. yes, please do more of these!! Yes!! More cooking videos! Love you Ashley!! You should deff do more videos like this one !!! You should do more cooking videos! The recipe looks soooo good! so Canadians use Fahrenheit for cooking but not weather, interesting. Do more cooking videos on both channels like every week!! 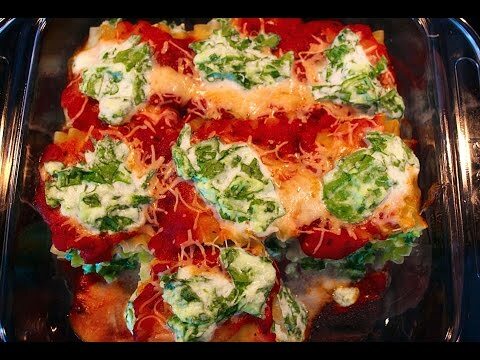 Or do like cooking with me video which shows like what you eat every day for like a week!!! Thumbs this up so she can see it!!! You should do more of these cooking/baking videos they're awesome!